If there was one time that I regretted not taking a train… this was it. 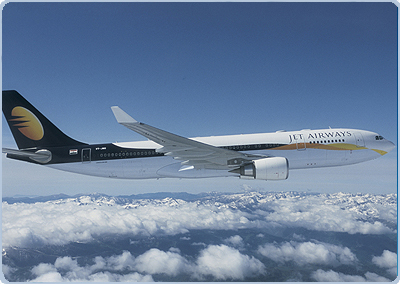 I’m on this Jet Airways 9W-332 flight from Mumbai to Delhi. As usual I’m fast asleep on the flight and suddenly I wake up with a jittery feeling. No I say to myself.. this is not a dream. You are in a plane. The plane is doing a bhangra style motions. Almost instantly the captain issues a ” seat belt ” sign on. The plane is still shaking violently. The gentleman next to me has a scary calm on his face when he tells me… “I have never experienced this on board such a big plane”. And if the shaking was not enough the plane drops some 2-3 mts ( I guess…) and there was this ” Oh My God” shouts and cries. The plane recovers, gains height, some more shaking ( and passenger praying) and now we are in clear skies. I come out of the airport and to be honest I’m shaken a bit. I’m trying not to think about the flight that I have to take back home. So to feel a bit better I call a friend and he says” Yeh to Bahut Normal hai” and he explains to me the eddies and convection and how the plane flighs #$@%&….. . So I reached office, talked to a few colleagues and then turned to my favourite friend- google. And guess what. There are tons of sites that explain air turbulence and why it happens. And not only that there are few sites that are dedicated to people who have fear of flying. And I read all of them. In short I know something about Air turbulence. The important thing to remember about turbulence is that it can be uncomfortable but it is not dangerous if you are comfotably fastened in your seat belt. So next time the captain switches the seat belt sign…. fasten it. 5 Things I like about Naduvula Konjam Pakkatha Kaanom !